Just when you thought you were overdosing on GIF animations (could that ever really happen? 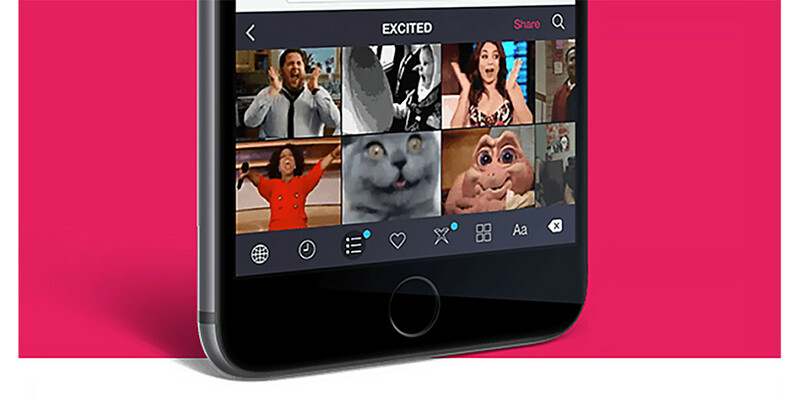 ), PopKey has taken its mobile GIF keyboard and put it right on the desktop for your viewing pleasure. 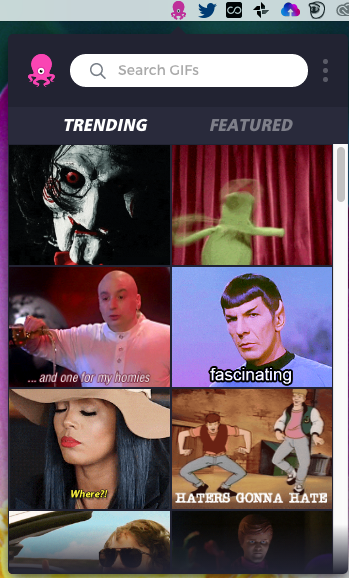 The desktop version of PopKey sits in your menu bar — I’m using it on the Mac, but there is also a Windows version — and as you click on the magenta octopus icon, the app interface drops down to show you a grid of the latest Trending and Featured GIF animations. You can move the slider down to browse for the perfect GIF. For a specific GIF, you can input search terms and right-click to save the image locally. A favorite function will roll out shortly, according to the developer. Clicking on a GIF copies its URL so you can view it on a separate page, while the share icon lets you post it to Twitter, Facebook, Pinterest or Google+. It also shows you similar animations in case you see something you like better. The grid sits on top of your open apps for a full view as long as you have it clicked, and then neatly tucks back into itself after you’ve been properly distracted.